Luna manages and oversees PathFinders’ beneficiary services programmes, and PathFinders’ finance, human resources and operational matters. In 2008, she helped establish PathFinders. Luna is passionate about serving the underserved migrant women and children of Hong Kong. 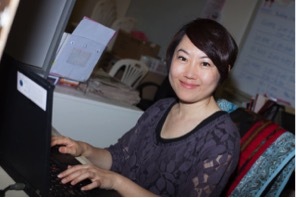 Luna started at PathFinders as a Case Manager directly assisting distressed migrant women and their Hong Kong-born children by conducting cases, providing crisis intervention, advising on parenting choices and by helping them navigate Hong Kong’s legal, immigration and health systems. In 2010, Luna was promoted to Senior Case Manager managing and supervising a team of case managers and the education programme manager. She was closely involved in reviewing, modifying and developing PathFinders’ client services programmes. In 2012, Luna was further promoted to become PathFinders’ Chief Operations Officer. Born in Beijing and raised in Hong Kong, Luna obtained her Bachelor’s degree in Commerce in Sydney, Australia. She began her career in as Certified Public Accountant at PwC in Hong Kong working in business advisory services. In 2011, Luna obtained a Postgraduate Certificate in Psychology from the University of Hong Kong. Luna is passionate in using her experiences and knowledge to influence positively people’s lives and to enable positive social change.